We are proud to announce that we have expanded. We now have authentic vintage eyewear. 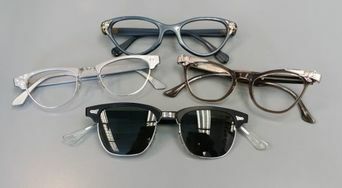 Born out of a love for vintage eyewear, Aunt Agnes prides itself on our unworn authentic vintage eyewear. No replicas, just the real deal.